Catherine Stewart, violinist, has been brightening the lives of area children as a Suzuki Method violin teacher since 1981 and has been teaching “Traditional” violin methods since 1972. Additionally she is certified in the O’Connor Method and the “Sassmannshaus Tradition” Method. Ms. Stewart has been adjunct faculty at University of Maryland College Park, teaching string methods to Music Education Majors. She has been a faculty member of Columbia Union College, St. Mary's College and the D.C. Youth Orchestra Program and was adjunct faculty at Olney Adventist Preparatory School. In addition, Ms. Stewart has presented Pedagogy Classes at Florida State University and Towson University. In 2016, Ms. Stewart taught repertoire classes at Peabody Prep and is currently on faculty there. She was director of Stewarts Stellar Strings Scale and Sight-Reading Camp which she founded in 2006. Ms. Stewart was Education Director of the National Philharmonic (formerly National Chamber Orchestra) Middle School Institute in 2001 and Education Director of the National Philharmonic High School Institute in 2002. She was Administrative Director of the Modern Early Music Institute 2009-2010. Ms. Stewart is the 2012 recipient of “Service to Strings” award from American String Teachers Association MD/DC Chapter. The Maryland Classic Youth Orchestra presented the 2011 Chester J. Petranek Award to The American String Teachers Association and Catherine Stewart for Outstanding Community Service in Enriching the Musical Life of the Washington Metropolitan Area. In 1998 the American String Teachers Association MD/DC Chapter awarded Ms. Stewart “Outstanding Teacher of the Year”. Ms. Stewart is active in numerous professional organizations. She served in the leadership positions for The American String Teachers Association MD/DC Chapter, as President Elect, 2008-2010, President, 2010-2012 and Past President, 2012-2014. She chaired the MSMTA Strings Plus Festival for many years, as well as the Gretchen Hood competition. 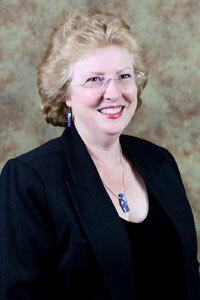 She has adjudicated many competitions and exams in the Washington area. Ms. Stewart's prize winning students have won auditions for Maryland Classic Youth Orchestras, Potomac Valley Youth Orchestras, St. Cecilia Orchestras and Maryland All County and All State Orchestras. Her students have attended the prestigious Great Wall program in Beijing China, studying with Kurt Sassmannshaus, Green Lake Chamber Music Camp, Interlochen Music Camp; Philadelphia Orchestra Camp; Suwannee Music Camp; Eastern Music Festival;National Philharmonic Summer String Institute; Stewart’s Stellar Strings Scale Camp. Ms. Stewart’s students continuing in music have attended, Eastman School of Music, Cincinnati Conservatory, Catholic University (Music School), San Francisco Conservatory, Indiana University (Music School) University of Maryland, Peabody Conservatory, Moscow Conservatory, and Interlochen Music Academy. Her students have performed on Master Classes for Brian Lewis, Soovin Kim, Stefan Jackiw, Roy Sonne, Mark Wood, Rebecca Henry, Nurit Bar Joseph, Ann Akiko Meyers, Jody Gatwood, Chee Yun Kim and Jeffrey Howard. Ms. Stewart has been a violinist with the National Philharmonic since 1999. In addition to the National Philharmonic, Ms. Stewart has been a member of The Nashville Symphony, the Naples Philharmonic, and the Virginia Beach Pops. Her freelance work has included performances with Ella Fitzgerald, Mannheim Steamroller, Yanni, Ray Charles, Benny Carter and Bob Hope, as well as entertaining Presidents Clinton, Bush Sr. and Bush Jr.
Ms. Stewart regularly attends various workshops and institutes such as the biannual Starling DeLay Symposium at Juilliard, annual American String Teachers Association conferences, Modern Early Music Institute; exploring Baroque performance practice and Baroque dance, Sound Encounters with Brian Lewis, Mark Wood’s Rock Violin workshops, Kurt Sassmannshaus Tradition training, Mark O’Connor Method training, and Jazz in July with the Turtle Island Quartet. Ms. Stewart is currently active on the Havre de Grace Arts Collective board. She is delighted to assist in bringing world class music to her new hometown.